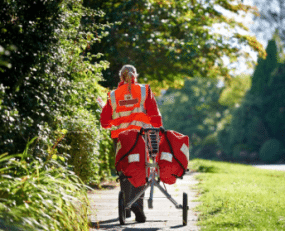 In its latest ‘trading update’, Royal Mail has described a market developing in a familiar pattern, with mail business falling more quickly than expected and parcel volumes growing rapidly at around 6% over the past half year. Royal Mail has encountered problems around the agreements between itself and its workforce. The company outlines the issue quite clearly in its statement, saying that the “operational elements” of its agreements with its staff “are about new working conditions, new technology and digitisation, and growth initiatives”. It comments that this is a “challenging agenda” and that “it is taking longer than anticipated to deliver the required productivity increases.” Royal Mail says that it hoped to achieve productivity increases at “the upper end of the two to three per cent range” however now it “will be significantly below its target” for 2018-2019. The result of this is a failure to drive down costs at the speed anticipated. The impact of this failure to hit these productivity targets on the financial performance of the company will be significant. The “2018-19 cost avoidance target”, which is the quantity of cost stripped out from the system, will fall from an estimated £230m to £100m. This hit to profits will result in an estimated profit for the year of between £500m and £550m. The problems experienced by Royal Mail should not be exaggerated. Essentially the company is not driving down its cost base as fast as it had hoped. The problems at Deutsche Post appear to be more extensive. However, the experience of both companies highlights that the ‘last mile’ sector remains a difficult one despite rapidly growing demand. If the likes of Royal Mail and Deutsche Post are facing these problems, the prospects for less sophisticated providers in less open markets are certainly likely to be substantial in the future, something that might provide an obstacle for the growth of e-commerce.